MacDonald Highlands offers award winning, custom luxury real estate in Las Vegas, but how does one go about buying their first luxury home? The process can seem daunting, and with a larger home that includes more amenities, there’s more to think about and consider. MacDonald Highlands offers award winning, custom luxury real estate in Las Vegas, but how does one go about buying their first luxury home? The process can seem daunting, and with a larger home that includes more amenities, there’s more to think about and consider. HGTV offered some helpful tips from realtors that specialize in luxury real estate, and here is their best advice. Work with a local expert. It’s crucial to have a realtor that not only has a depth of knowledge on the home you’re looking at, but also the community as a whole, how it’s evolved, and where it’s going. Buying a home is an investment that you should be happy with for years to come, so having a realtor like our own Kristen Routh-Silberman to show you the MacDonald Highlands homes can help you learn about our prestigious community, and why it’s the right place for you. Have a good idea of what you’re looking for in a luxury home. Want a view of the mountains, or the golf course? Want both a pool and hot tub? How many bedrooms and living spaces? At MacDonald Highlands we have several custom homes and even lots for sale to construct your design into reality. Letting your realtor know upfront what you do and don’t want will help them find your dream home faster and easier. Find a unique quality in the home that you love. Luxury properties are one of a kind, so if there’s a detail in the home such as the panoramic window in the master suite that takes your breath away, it may be hard to find exactly that detail elsewhere. Listen to your gut when you’re home shopping, because when it’s right, you’ll know. MacDonald Highlands offers stunning views of the Las Vegas Strip and surrounding valley from the McCullough Mountains with quick access to the airport, Strip, and downtown areas. This private and gated community houses some of the most influential people in Las Vegas such as celebrities, athletes, and politicians. 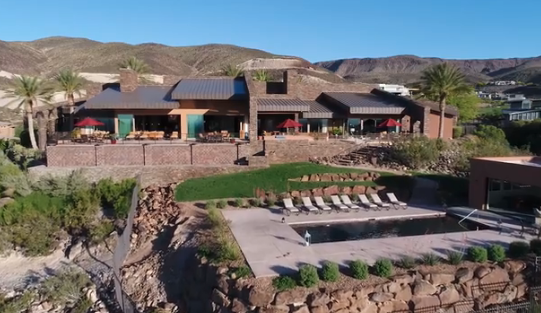 As a member of MacDonald Highlands, residents have full access to the DragonRidge Country Club, a breathtaking oasis for golfing, tennis, swimming, and more. To begin your home search with an expert realtor, contact us on our website or call 702-614-9100 today.